Where do classic vintages go? That was what I was wondering one day. You see grand vintages being auctioned all the time. Virginal OWC's from 1961, 1982 and 1990, but where did the Bordeaux's from 1968, 1972 and 1991 go? 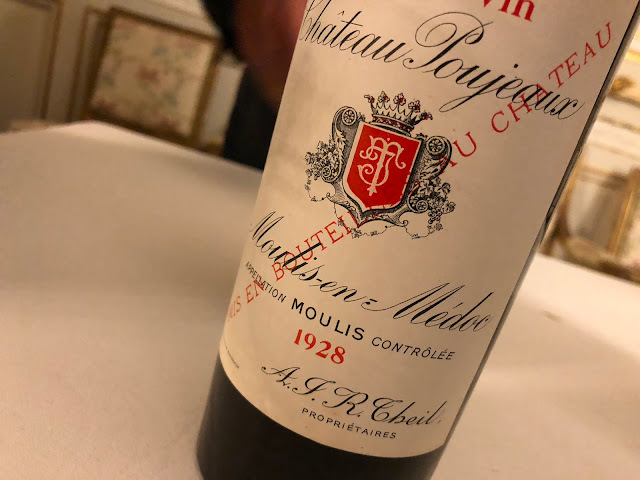 Sometimes I run into a forgotten bottle tucked away deep in an old cellar; however one doesn't see these wines very often in auction catalogues. I recently read a story - unfortunately I do not remember where - that gave the answer to this question. The less grand vintages, or euphemistically the 'classic' ones, mostly remain in France. By and large the export markets are just interested in the best vintages, and the remaining vintages are drunk, often relatively young, in France. I.e. not only these bottles aren't exported, they're actually drunk! Many of these wines are enjoyed in French restaurants. The sad thing about Bordeaux, and especially monumental Bordeaux, is that people forget to drink them. The wooden cases are cherished in impressive cellars, and traded when profitable, or when the owner has died. The older the bottles get, the harder it is to touch them, or I should say to open them. There are many reasons for me to love France, and one of these many reasons is that the French know how to drink wine. They are not just focused on collecting treasures, but very much also on uncorking pleasant, drinkable, friendly wines. And this is true on every level: from the highly digestible lovely light red Loire wines to the Bordeaux cru classés. For example, in France people would order a Giscours 2007 with their meal and drink it (as was meant to be) with joy, accompanying food. I doubt if a Dutch restaurant would put it on the list, customers might think "Wow, a weak year…", and probably wouldn't order it anyway. I decided to act like a Frenchman and enjoy a young 'classic'. In addition, I was very curious to taste a young and fresh 2007. So I opened a Château Giscours 2007 with Jan van Roekel. To start with the conclusion: it's true, 2007 is not a stellar vintage, old news, but what's also true: I very much enjoyed drinking this wine! It's ready to drink now, but it will improve over the next 5 years. The first nose-impression is that of a dark and spicy wine, albeit a bit locked - at the start not a whole lot of expression, at least no piles of fruit. Let's say this is both the year and the youthful stage. 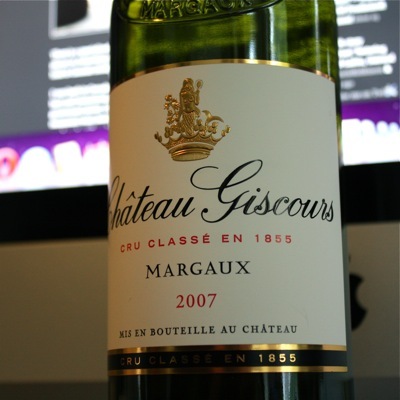 In the mouth the Giscours reveals a good concentration without any hardness, giving a pleasant mouth feel. Marked again is the spiciness, as well as a profound (but not disturbing) acidity. I would almost say the wine comes across a bit stern, showing 'slender power'. But it is a pure wine, with a very modest oak-impression, say 'just right'. There's a hint of bay leaf. Towards the end of the evening the wine starts to open up a bit, now displaying black fruit, blackberries. Whatever is said about the vintage, whatever this wine might have scored by the critics, I enjoyed it a lot. Perhaps it helped somewhat that my expectations weren't sky high. Anyway, if you run into Bordeaux 2007 bargains in the near future, remember that you might be looking at something very drinkable!